An elevator operator named Jorge doesn’t know he’s dead. A passive aggressive ghost defends his territory at the corner of Division and Western. A mysterious pattern of redlined maps chokes the city into decades-long segregation. In 100 Hauntings, created by an intergenerational ensemble of performers, comedians, writers and community organizers, Free Street asks: Who—and what— is haunting Chicago? To create the performance, the ensemble facilitated over a dozen story circles in communities ranging from Englewood to Humboldt Park, asking hundreds of Chicagoans to share their personal experiences with the notion of hauntings, both literal and metaphorical. Fresh off of a “campfire style” tour in public parks this summer, 100 Hauntings moves inside for a longer, multimedia performance just in time for Halloween. 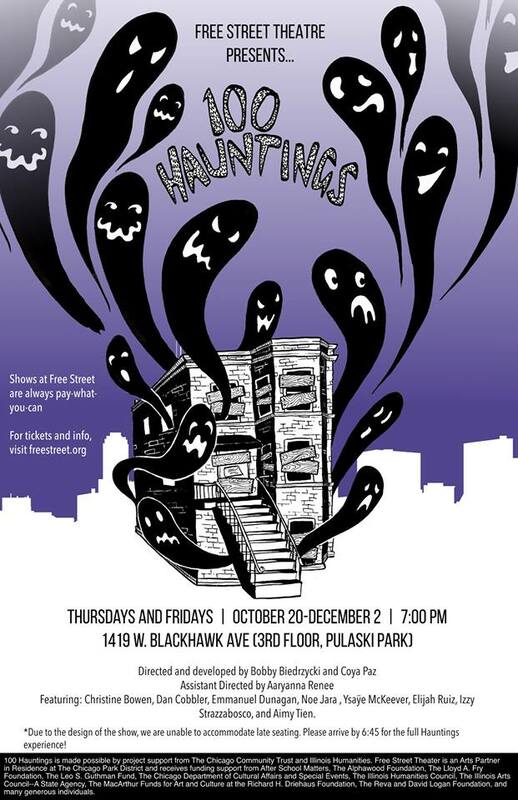 100 Hauntings will run October 20-December 2 (No shows November 24 or 25), Thursdays and Fridays at 7pm at 1419 W. Blackhawk Ave, 3rd Floor (Pulaski Park Fieldhouse). Shows at Free Street are always pay-what-you-can. Tickets at www.freestreet.org. Co-programming for ages 3-12 will be available on October 28, November 18, and December 2. 100 Hauntings is directed and developed by Coya Paz (Free Street, Teatro Luna) and Bobby Biedrzycki (2nd Story), with sound design by Damon Locks (Trenchmouth, The Eternals), lighting design by Jacob Snodgrass (Hedwig Dances, Links Hall), set design by Angela McIlvain, movement direction from Molly Brennan (Lookingglass, Barrel of Monkeys) and dramaturgy by Johanna Orr. The intergenerational ensemble includes Christine Bowen, Dan Cobbler, Emmanuel Dunagan, Noe Jara (Halcyon Theater), Ysaÿe McKeever (Southside Sailor Scouts), Elijah Ruiz (The Young Fugitives), Izzy Strazzabosco, and Aimy Tien (2nd Story). As with all Free Street shows, co-programming for ages 3-12 will be available for select performances. 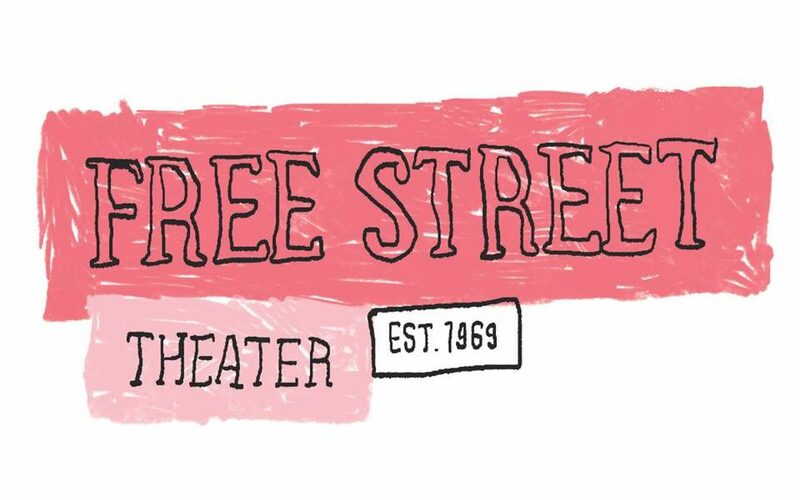 On streets and on stages since 1969, Free Street Theater is dedicated to producing new performance created by, for, with, about, and in Chicago’s diverse communities.